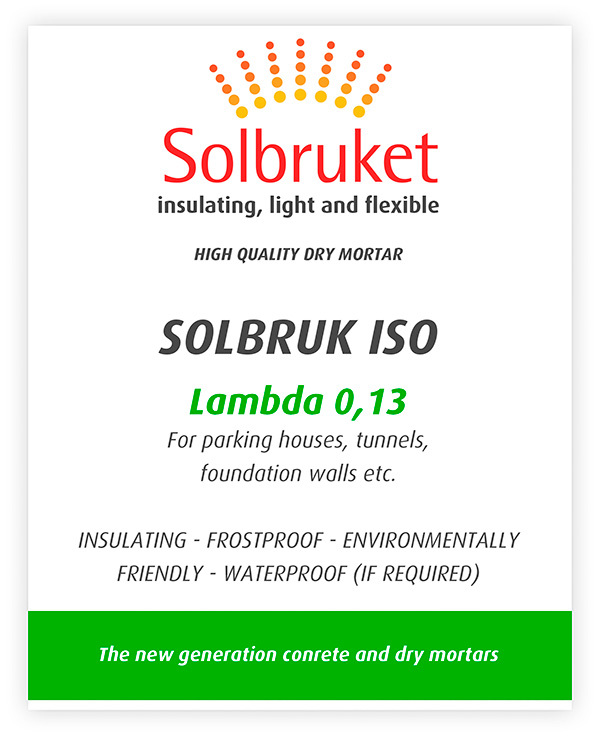 SOLBRUK ISO – a range of waterproof ready mixed mortars with extreme insulating properties. Waterproof and permanently active – repair cracks up to 0.4mm in the concretes lifespan. Lambda 0,13 – 0,19 and 0,29. Solbruk ISO can be sprayed or applied by hand. Perfect for foundation both inside and outside. Protects sprayable membrane in frost zones eg. 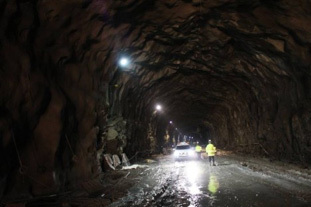 in tunnels.